Welcome to my homepage. Whilst this is focused on Roleplaying Games, I also use it to list, link and discuss other areas of interest, such as music. Please have a look around. (If you are a GM in a roleplaying game you will find many tools and docs to your liking). Also, please feel welcome to ask questions and post on the forums. Added some ideas for benefits for having Relationships with Realms to the ALL - Relationships & Renown Page. Added several new subclasses to the 5E D&D Class Pages. Mainly from EN5ider articles. Also removed all the ones from the defunct EnWorld Database. Added new spells to the D&D Spells Page. Also added an Other Classes Page to the D&D Classes section. Feel free to link to other classes people have tried here. I have more: DawnForged supplement I bought had shaman and something else, ENWorld's Patreon has done some, including the noble. If you see any, add them to this page. Added the new cover of the Pathfinder 2E Bestiary to front page. 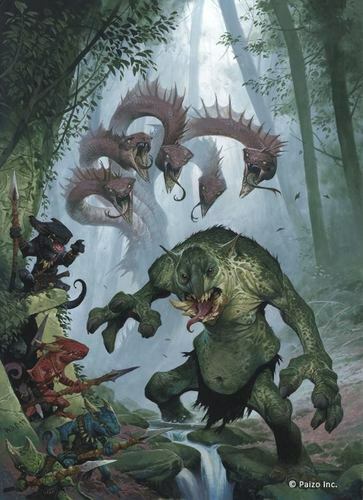 LOVE the look of those kobolds!